Here at Bezlio, we have recently entered the third generation of our no-code/low-code platform. Since we use agile development and continual integration, our product continues to evolve based on our customer’s feedback. We don’t have version numbers, but we track our generations based on major feature enhancements. In generation 2, we worked with our clients and understood most people were using Bezlio to allow their users to access data outside of the office and mostly on mobile devices. With generation 3, we launched the Bezlio app for iOS, Android, and Android TV. One of the problems all developers face is testing in realistic conditions. As a developer, it’s easy to fall into the trap of testing in the office where you have a stable Wi-Fi connection, no dead-zones, and is essentially nothing like the real world. Our app was made for the road warrior to access their information no matter where they are at. It is the alternative to a salesperson having to desperately pull out a laptop and a hot spot in their car in a client’s parking lot trying to find out why an order hasn’t shipped. 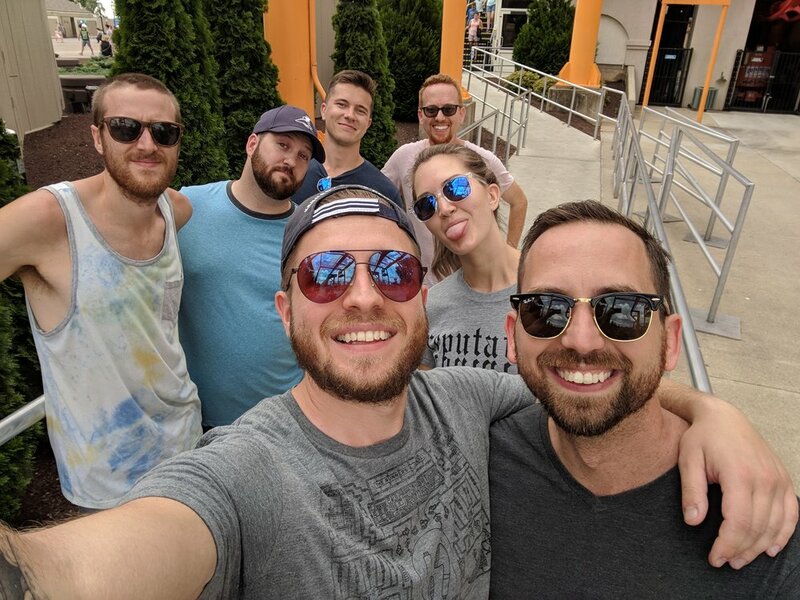 Recently, as we were planning our summer company party at Cedar Point, we decided it would be a great time to do some additional field testing of our app. We knew people were arriving at various times during the day, that they would be spread all across the park, and at various times, groups would want to meet up to ride some rides or get food and drinks together. We started by creating a map that uses GPS information to show where everyone was at in the park. From there, we added a live chat feature, so users could add an update, pinning their last location and a note. This kept all of our users connected throughout the day and allowed them to meet up easily. With the no-code/low-code Bezlio platform handling all of the backend communication and the drag and drop design tools, our developers were able to build and test the entire app in about 4 hours. We started by creating a database table in our servers in Wadsworth where we stored the user, a note, and their last known GPS data. Then we used the reusable components in the Bezlio designer to create a table of everyone’s locations, the map with all of their data points, an input box for the note, and a button to submit a new note. Bezlio’s location integration automated the process of getting the GPS data and Bezlio Remote Data Broker handled, reading and writing to the database in a matter of minutes. 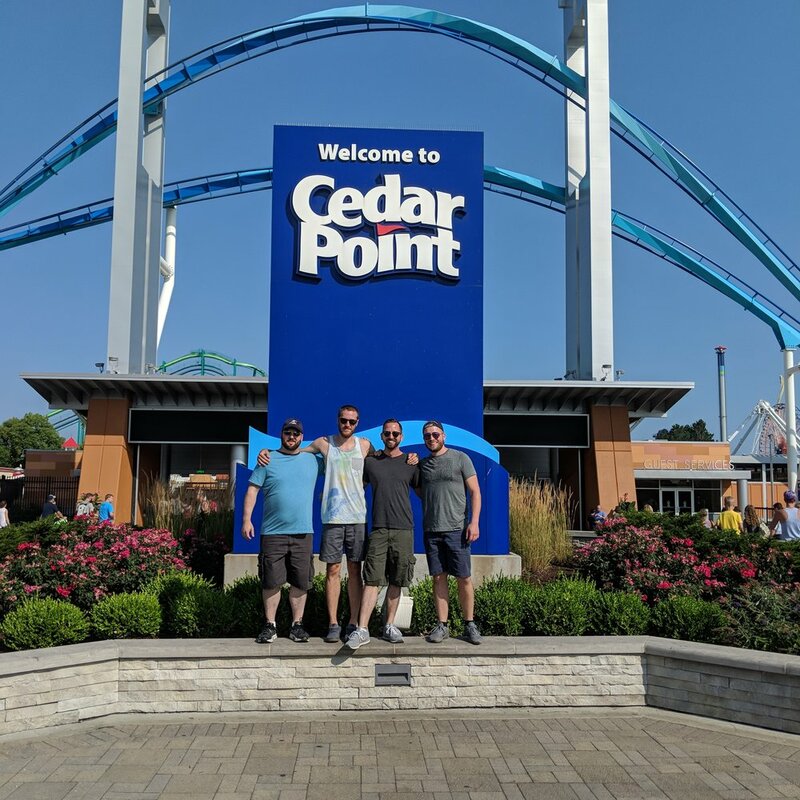 Cedar Point ended up being a great proving ground for us! We had a need for a mobile solution and we found less than ideal network conditions at times. Since all of our developers were using the app throughout the day, they were able to find things most users would overlook but did not function the way we had expected through our internal QA testing. I don’t think that our team has ever had so much fun doing QA! Could your team use GPS tracking for service orders, deliveries, trade show coordination, or another task? Let us know how we can help!